Although negotiation has always existed in history, yet it became an essential element as part of the formal dialogue between workers and employers. The main objective of negotiations is to bring the points of view of different parties closer together in order to reach a solution, which is acceptable to all parties in a framework of mutual understanding. This book illustrates the important role a trade union representative can play in the areas of collective bargaining to get the best results in favor of the working class. This publication is available in Arabic language. Despite the fact that dialogue is a tool as ancient as history itself, yet social dialogue has recently been recognized as an instrument to reach consensuses within society and a tool to prevent conflicts between interest groups. Most of the problems we are facing in several fields are the result of a lack of dialogue and the lack of important skills needed for the dialogue process. This book illustrates in depth the importance, levels and types of dialogue in addition to shedding some light on social dialogue and ways to establish a successful and productive dialogue. This publication is available in Arabic language. Progress is to reach success and for that, we need to have a vison. The vision is the ability to differentiate between success and failure. Success is the progress, which needs an effective management to be achieved, as the management is responsible for achieving the goals with the highest satisfaction. The aim of this book "The Culture of Progress - Problem and Solution" is to shed some light on how progress is achieved, to spread awareness and to push forward all ideas capable to bring an intellectual development, which consolidates and promotes progress. This publication is available in Arabic language. This book “Path to effective Development" shows how to achieve the goals of development. Therefore, there must be an optimal way to achieve effective development without deviance, neither in time nor in quantity nor in quality. Development achieves satisfaction, fills the needs and reaches the majority of people beyond social justice to achieve quality of life. The theme of the book is "What is the best way to effective development". The writer describes development to be comprehensive, independent, sustainable and capable of transformation. 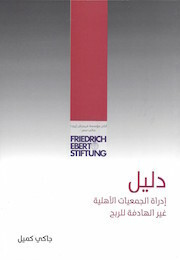 This publication is available in Arabic language. 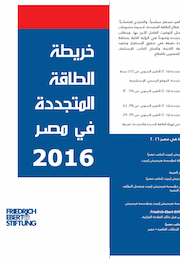 The FES Egypt office has launched the “Renewable Energy Plan Egypt 2016” brochure, which summarizes the Renewable Energy situation in Egypt. The Brochure highlights the Governmental Strategic Plan “2022” and the relevant policy tools and mechanisms such as the Feed-in Tariff Program, as well as Solar and Wind Energy Projects and their respective challenges. 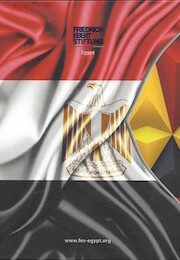 This brochure is available in Arabic language. Investigative journalism appeared in the early 20th century as a necessity for the development of society. A legendary investigation was the one led by the two journalists Bernstein and Woodward when they uncovered what was later known as the Watergate scandal. 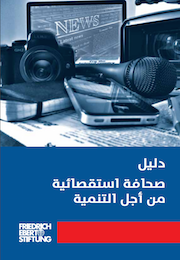 The FES Egypt Office presents this guide, which emphasized how media, also known as the fourth power, and in particular investigative journalism are an important partner in development, in a time of political and social change since the outbreak of the so-called Arab Spring. This publication is available in Arabic language. The concept of citizenship has evolved over the centuries, to reflect nowadays citizens' civil, political, social, economic and cultural rights. Citizenship should include all strata and categories of society, without distinction or exclusion based on gender, color, social class affiliation, ethnic group or religious denomination. 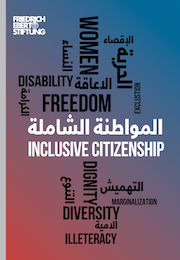 The FES Egypt office published this book as part of the "Inclusive citizenship through visual expression” program, hoping it would spread awareness of inclusive citizenship, equality and justice. This publication is available in Arabic language. The Friedrich-Ebert-Stiftung Egypt Office in cooperation with John D. Gerhart Center for Philanthropy, Civic Engagement and Responsible Business at the American University in Cairo (AUC) has launched a Guide for “Management of Non-Profit Organizations/NGOs” by Jackie Kameel. This guide provides and supports respective managers with necessary managerial tools especially for recently established NGOs or those seeking structural adjustment. It is also beneficial for board members as well as anyone who would be interested in establishing an NGO. This guide is available in Arabic language. 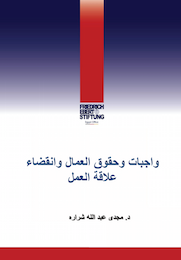 The Friedrich-Ebert-Stiftung Egypt Office in cooperation with John D. Gerhart Center for Philanthropy, Civic Engagement and Responsible Business at the American University in Cairo (AUC) has launched a Guide for “Alliance Building” by Doaa Abdelaal. This guide discusses the alliance building between NGOs and each other as well as with other stakeholders and partners such as governmental institutions and private sector. The guide focuses on how to determine potential allies as well as challenges and ways to sustain alliances. This guide is available in Arabic language. This calendar is available in Arabic and English language. 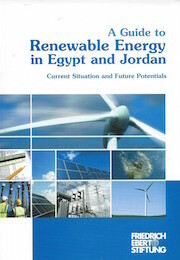 FES Jordan, which serves as regional link for the FES Sustainability Project, has launched this Guide to Renewable Energy in Egypt and Jordan in early 2016.The Guide discusses the current framework of energy governance as well the socio-economic impact of renewable energy in Jordan and Egypt. The contributors analyze the relevant regulatory framework as well as stakeholders to the respective countries and finally project a future outlook on the transformation of energy sources as result of introducing renewable energy to the current energy mix. 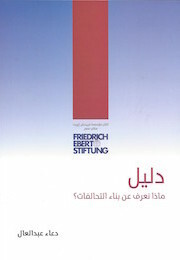 This publication is available in Arabic or English language.